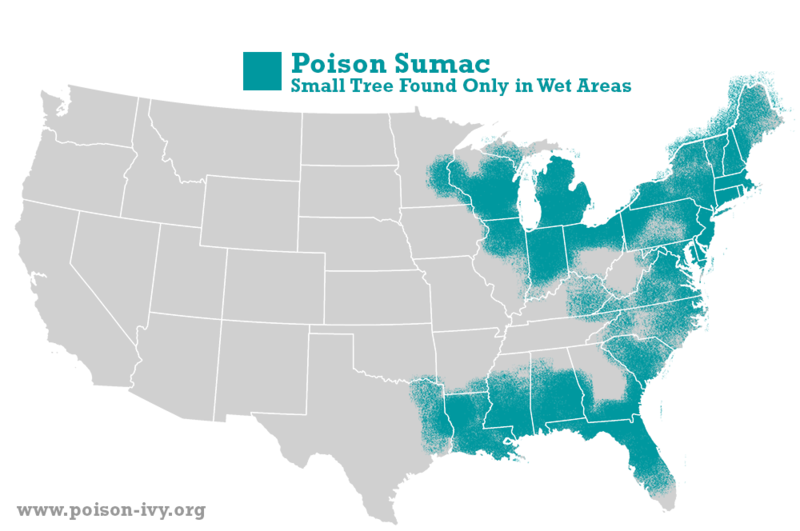 Poison sumac, Toxicodendron vernix, is related to the poison ivies and poison oaks, not to the other sumacs. It is relatively rare compared to the other members of the family. 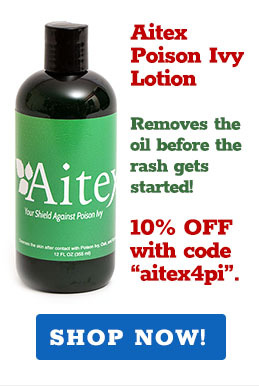 The rash-causing agent, urushiol, is the same, and it causes the same rashes. 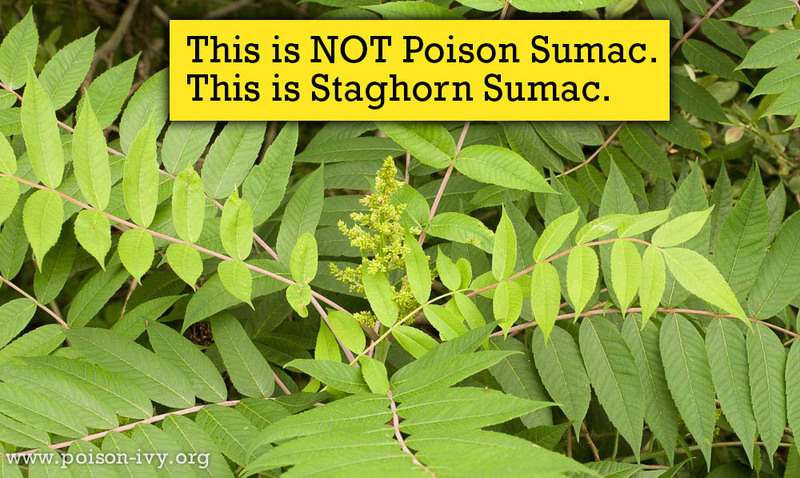 While poison sumac is rare, when you find it in its typical wetland habitat, you may find quite a bit. The thin, small tree in the dead center of this image is the poison sumac. 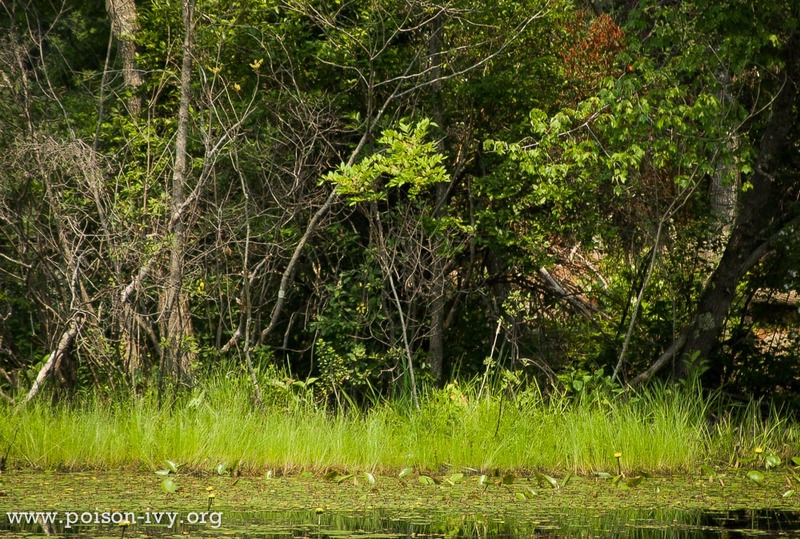 Note that it is growing in the mud right at the edge of a pond, on land so wet that the other tree species to the left have died. 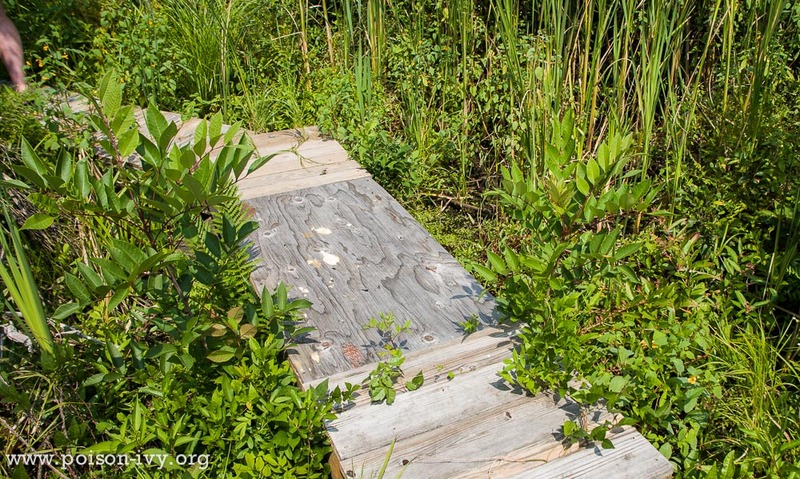 Here is a boardwalk through a wetland with small poison sumac trees growing on both sides. If you stepped off the boardwalk, you would be up to your ankles or knees in mud and water. That is how wet a habitat poison sumac likes. 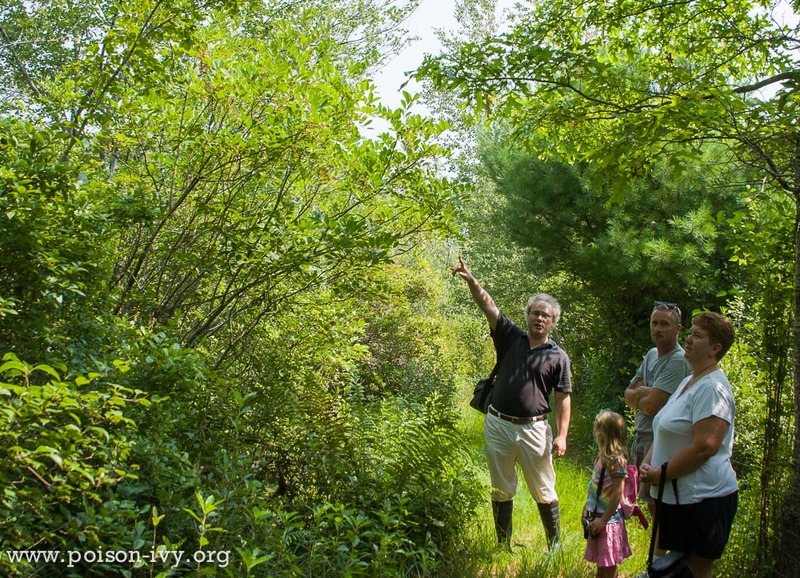 A botanist points to a full grown poison sumac tree with the family that lives on the edge of this wetland. 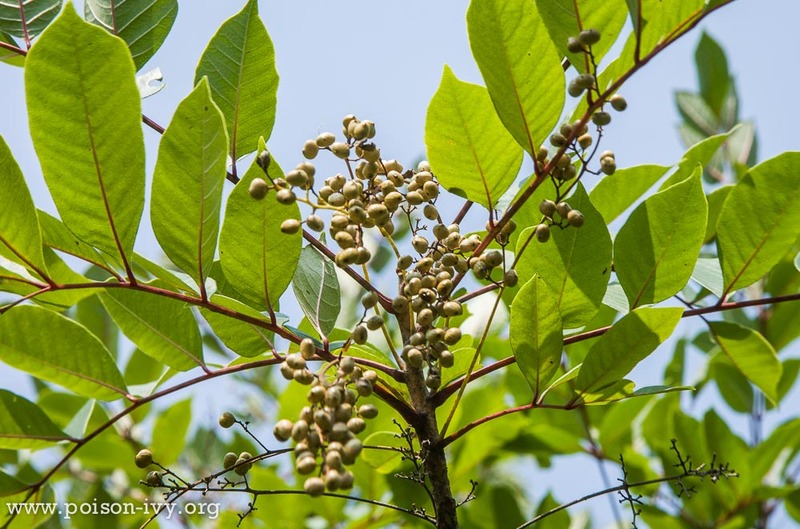 A closer look at the leaves and flowers of poison sumac. Note that the leaves are NOT saw-toothed and the stems are red. 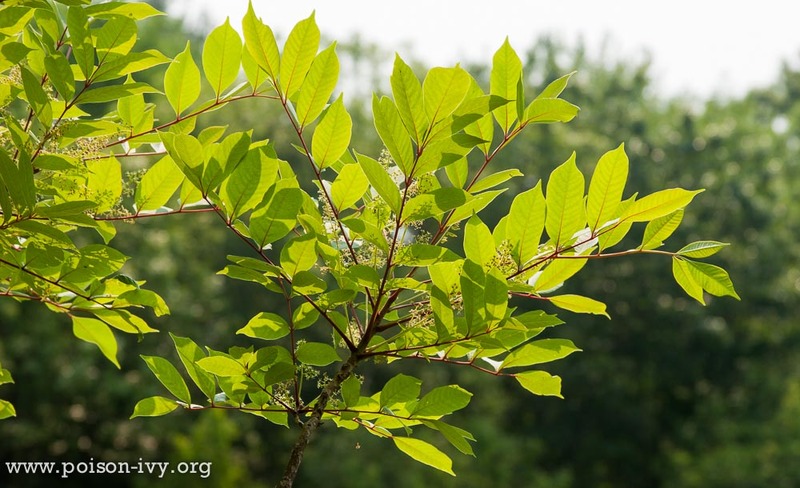 Looking down at a young sapling poison sumac tree. 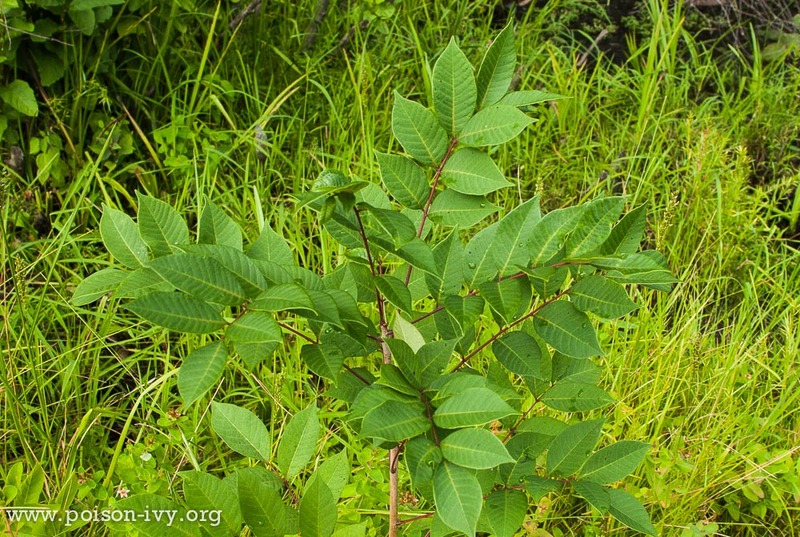 Here is the growing tip of a poison sumac tree. 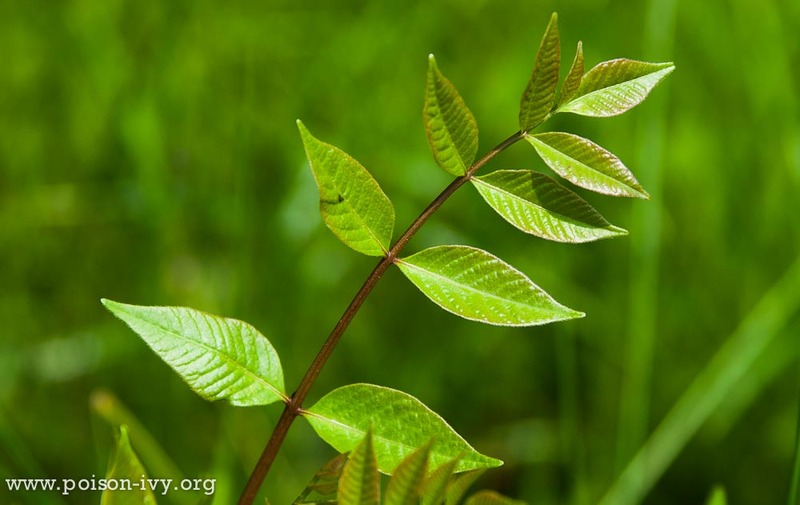 Notice how the end leaf has a little side-leaf. Some stalks have the little extra leaf, while others don't. Closer look at how the red stems branch off the main trunk. The loose berries that hang from poison sumac. With staghorn sumac, the berries are tightly bunched and they stand straight up, whereas these hang down. 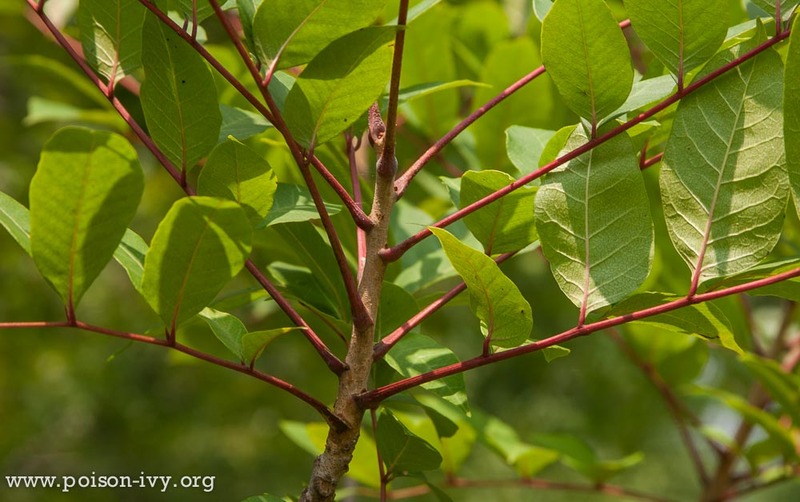 Here you can see how the staghorn fruit stands upright, and how the leaves have saw-toothed edges, unlike poison sumac, which has smooth leaf edges. 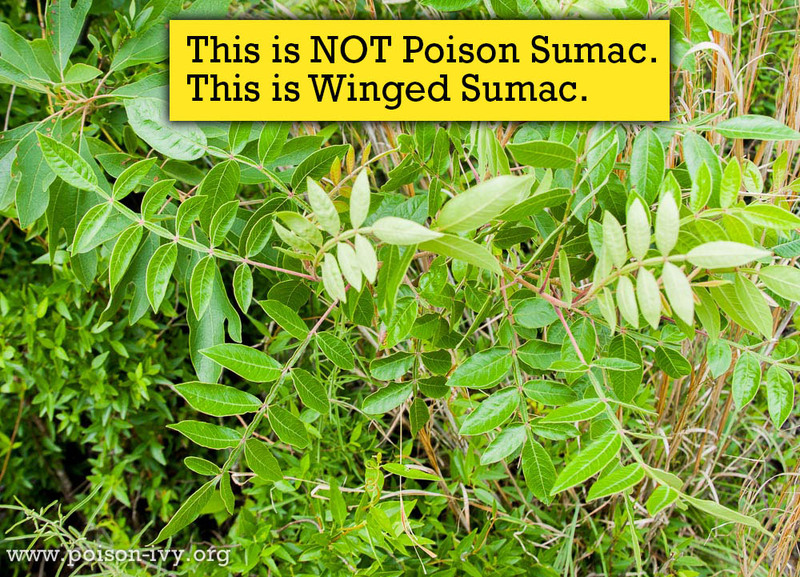 This is winged sumac, which is much less common than staghorn, but much more common than poison sumac. The "wings" are the little leafy growths along the stem between the actual leaves.